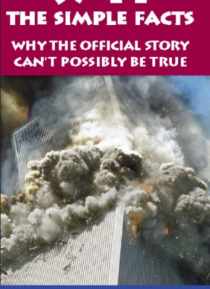 Incredible as it seems, the governments version of what happened on September 11, 2001, cant possibly be true. Without engaging in any speculation or conjecture, this book proves that beyond a shadow of a doubt. For example, it lists ten infallible indicators of destruction by explosives and four infallible indicators of destruction by fire. The World Trade Center buildings exhibited all ten of th… e former and none of the latter. (Thats not surprising, since no steel-framed building has ever failed due to firenot even the Caracas skyscraper that burned for 17+ hours, nor the Beijing high-rise engulfed in bright orange flames from top to bottom.) Then theres WTC 7. Not struck by a plane, subject to nothing more than minor office fires, its 47 stories collapsed into their own footprint in a manner indistinguishable from a controlled demolition . . . which may explain how BBC TV was able to report it twenty-three minutes before it happened. Evidence like this (and theres much, much more) is why more than 1,400 architects and engineers, and tens of thousands of senior government, military, CIA and FBI officialsplus pilots, reporters, broadcasters, scholars, and othersare calling for a new, independent investigation.